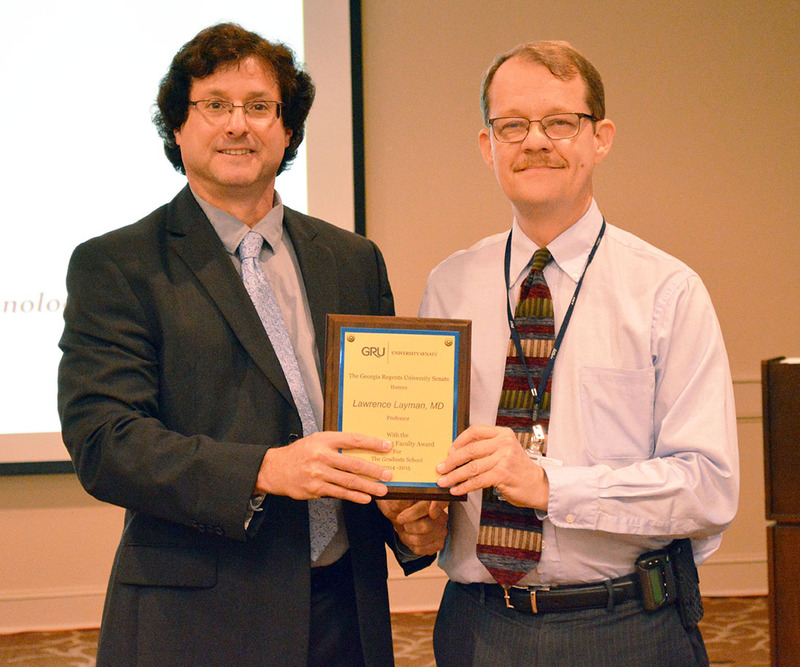 AUGUSTA, GA. – Georgia Regents University recognized distinguished faculty on March 19 at the GRU University Senate Faculty Recognition Ceremony. 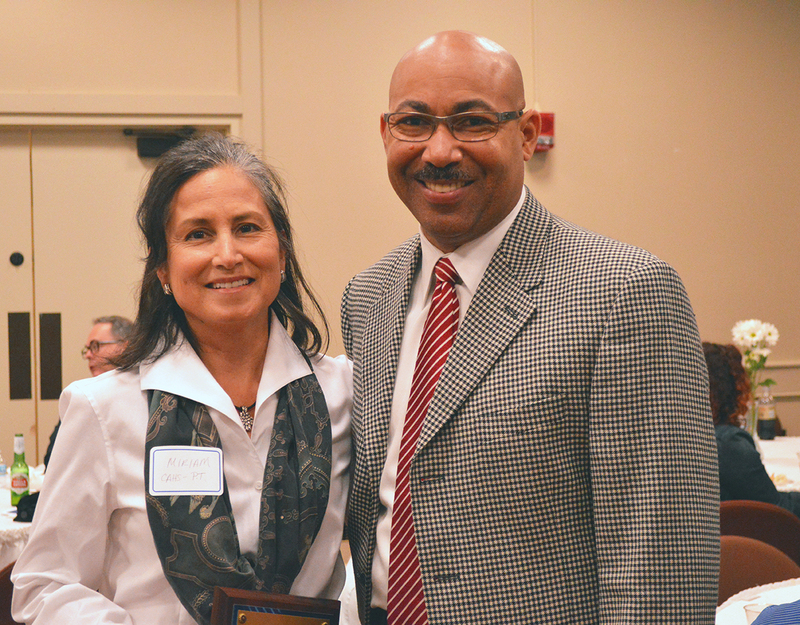 Dr. Paulette Harris, Cree-Walker Professor of Education in the Department of Educational Leadership, Counseling, and Special Education, received the Outstanding Faculty Award for the College of Education. As the Cree Walker Endowed Chair, Harris truly exemplifies the highest professionalism in her teaching, scholarship, and service. She serves as program coordinator for the M.Ed. in Teacher Leadership, the gifted education endorsement and the teacher support specialist endorsement. She teaches core coursework in these programs as well as in Educational Leadership. As Director of the Georgia Regents University Literacy Center, Harris leads literacy services for over 1,000 individuals each month. Under her guidance, the Literacy Center receives in excess of $100,000 annually in grants and donations. Currently, she is leading an initiative to have the Literacy Center recognized as a model site for the National Reading Styles Institute. Her manuscript, Family Literacy: Proven Practices, has been accepted for publication by Stipes Publishing. Each year, Harris can be seen actively involved with departmental, college and university committees. As a mentor to young faculty, she shares her experience and offers opportunities for collaboration in scholarship and research. A tireless and passionate educator, she is an inspiration to all who know her. The Graduate School – Lawrence Layman, M.D., Professor & Chief of Reproductive Endocrinology, Infertility, & Genetics. 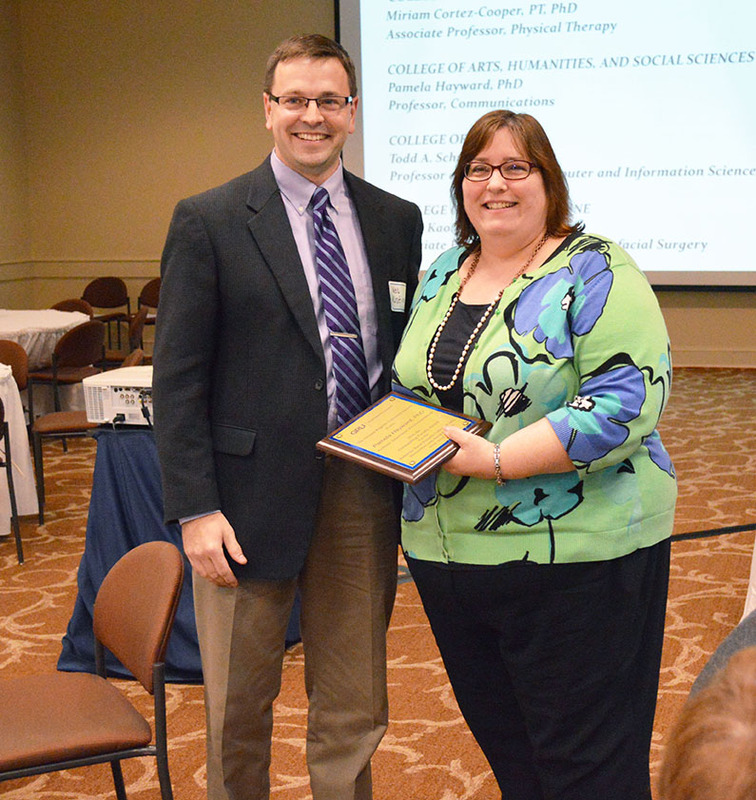 College of Nursing – Stephanie Wright, M.S.N, Associate Professor,Department of Physiological & Technological Nursing. College of Science and Mathematics – Trinanjan Datta, Ph.D, Associate Professor, Department of Chemistry & Physics. Medical College of Georgia – Walter Moore, MD, MACP, Senior Associate Dean for Graduate Medical Education & VA Affairs and Professor of Rheumatology & Adult Allergy. 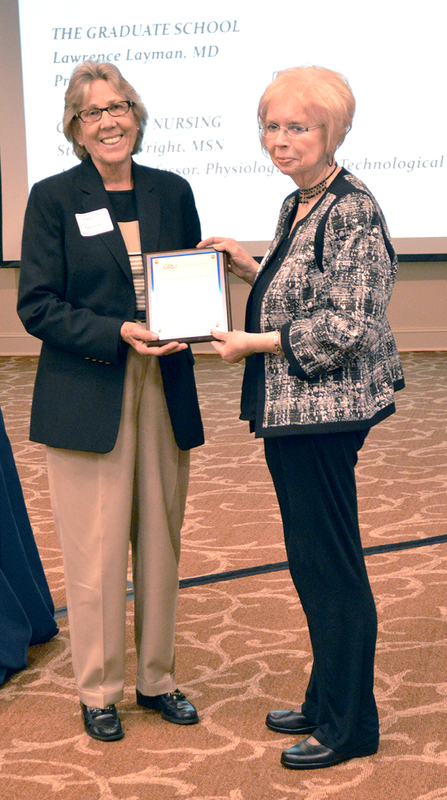 Dr. Nan Restine (left), Chair of the Department of Counselor Education, Leadership & Research, and Dr. Paulette Harris. Dr. Wesley Kisting (left), Assistant Dean in the Pamplin College of Arts, Humanities and Social Sciences, and Dr. Pamela Hayward. 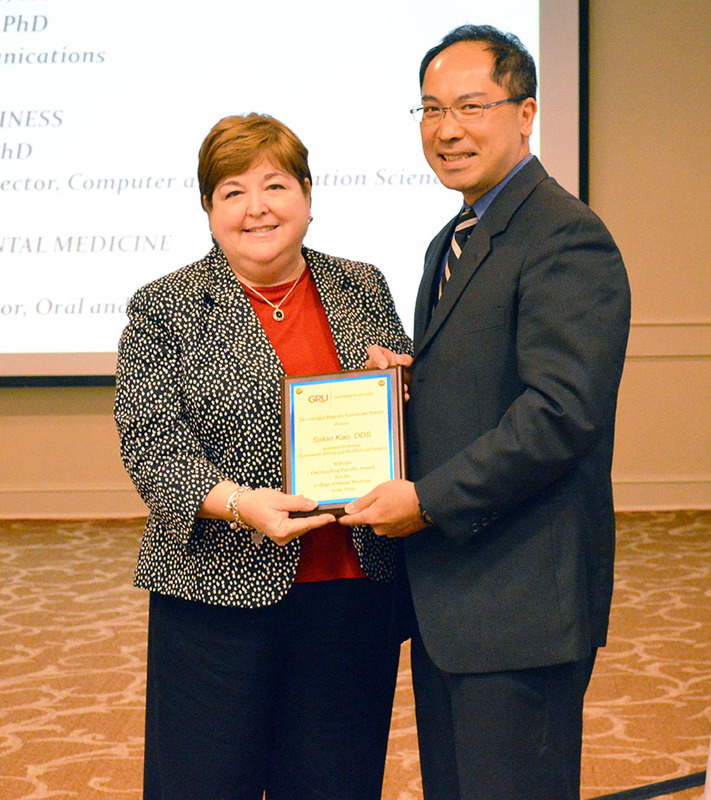 Dr. Carol Lefebvre (left), Dean of the College of Dental Medicine, and Dr. Solon Kao. 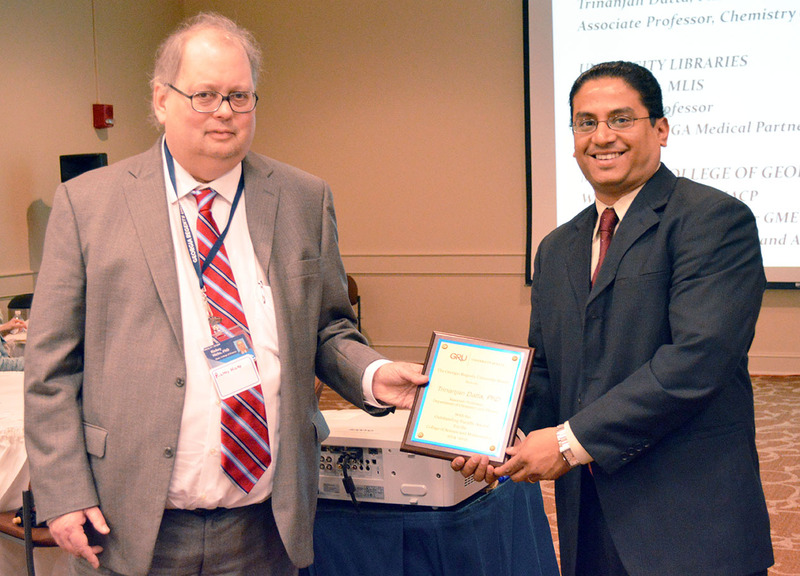 Dr. Rickey Hicks (left), Dean of the College of Science and Mathematics, and Dr. Trinanjan Datta. 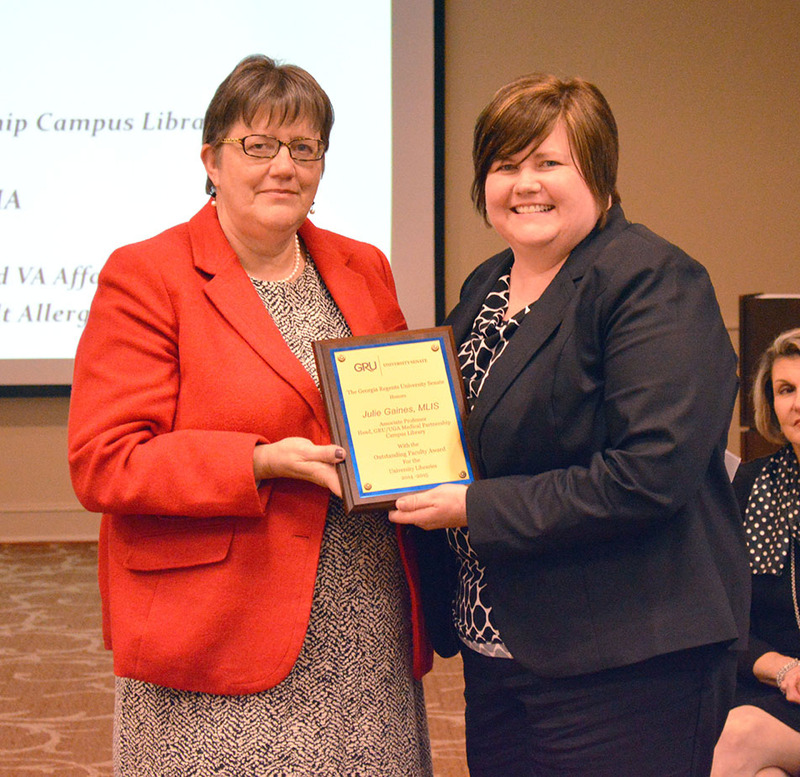 Brenda Seago (left), Director of Libraries, and Julie Gaines. 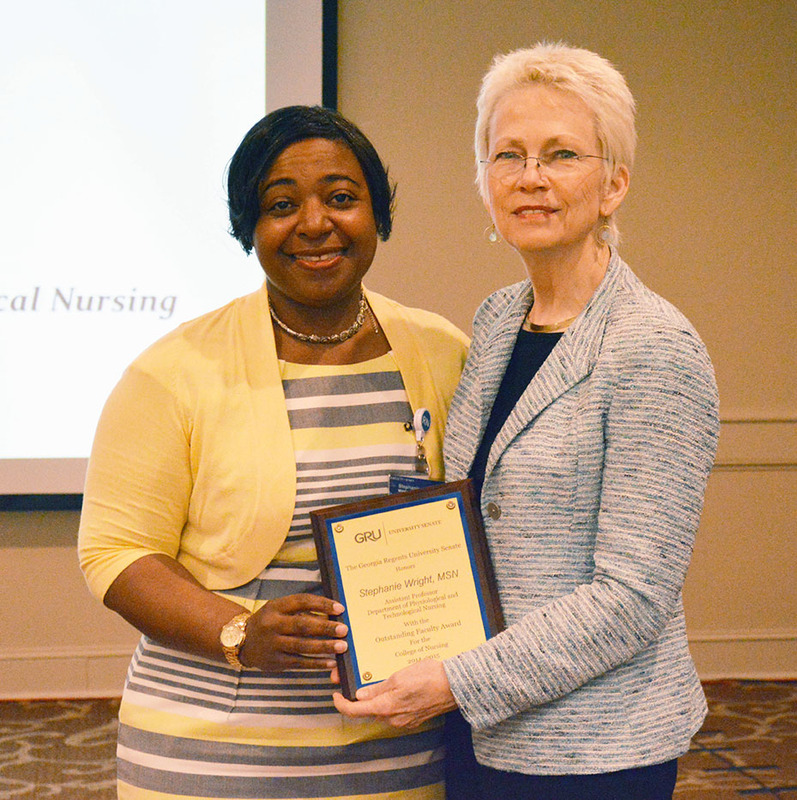 Stephanie Wright (left), and Dr. Lucy Marion, Dean of the College of Nursing. Dr. Miriam Cortez Cooper (left) and Dr. Lester Pretlow, Associate Dean for Academic Affairs in the College of Allied Health Sciences. 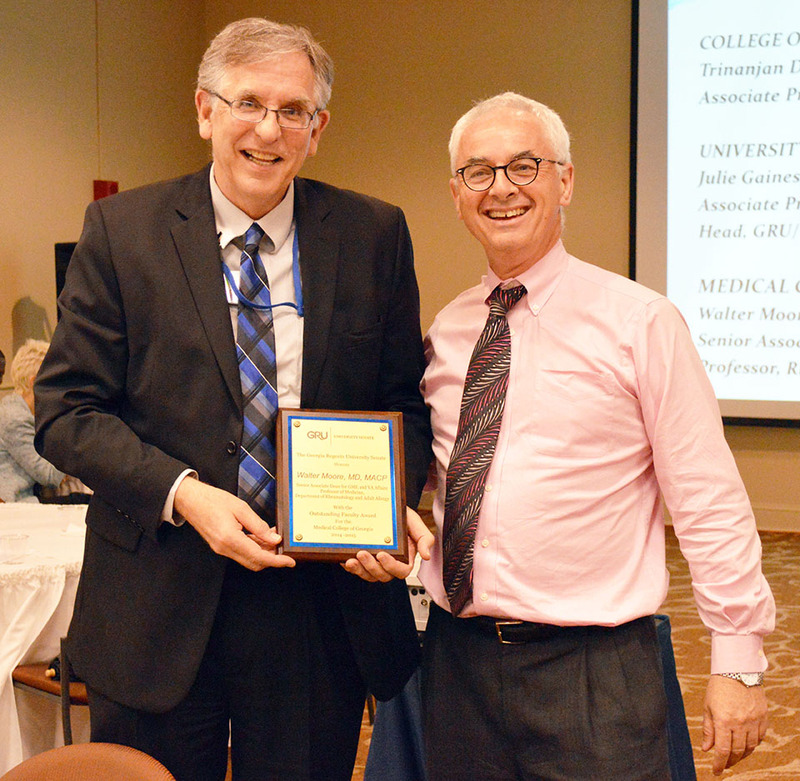 Dr. Lawrence Layman (left), and Dr. Mitchell Watsky, Dean, School of Graduate Studies.